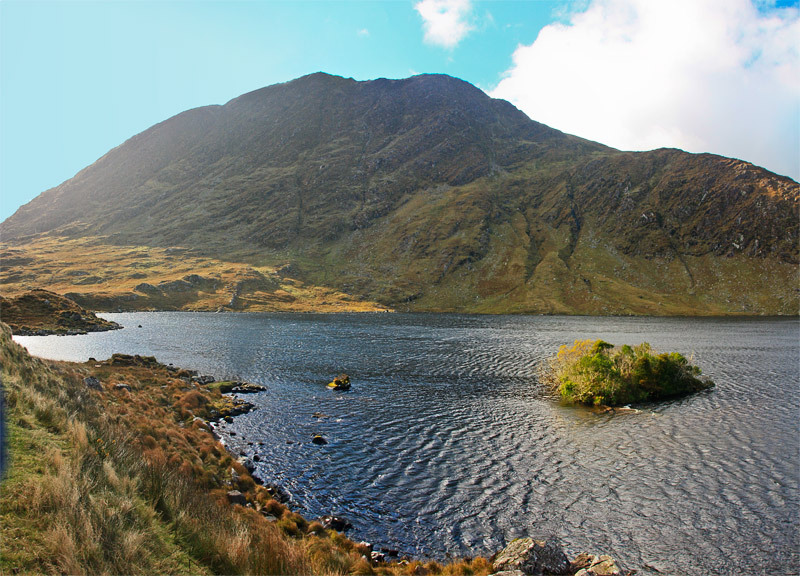 Picture from group : Barfinnihy Lough and Boughil from the east. Picture: Barfinnihy Lough and Boughil from the east. East end of group of four with classic coum and lough. Park the car at Barfinnihy Lough where there is quite a large lay by V 851 768 A , room for 10 cars.